Emily said: "This is Germany's largest second hand English bookstore (despite that it's still quite small). The owner takes used books, however he is quite picky... you must schedule an appointment and the books are given for credit, not cash. The selection is ok... a lot of fiction and the prices are just ok. Since the books are used, there is quite a random assortment." This bookstore declares itself the "Largest English-Language Secondhand-Book Shop In Germany" and although some people call this statement into question (mostly arguing in favor of one of the booktores in Berlin), there is no denying that The Munich Readery is a fantastic source of books in English and a store that definitely deserves to be mentioned in our guide. Almost 40 thousand books are stored in this bookstore and its owner claims that each one of them has been carefully chosen - the two basic criteria being the literally quality and the condition of the book. They only store second hand books and besides loads of quality fiction, there are many interesting non-fiction sections which should be able to please just about everyone. And don't let the classy environment mislead you, the prices of the books are in fact very decent, mostly around 5Є for fiction. 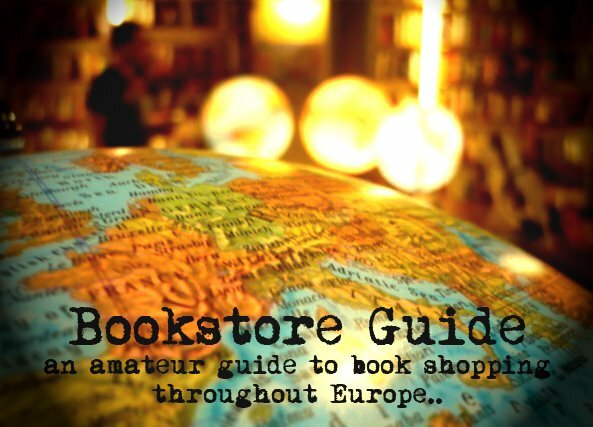 The interior of the store is designed in a way which is not typical for second hand bookstores. 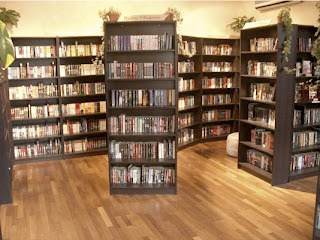 Books are stocked in tall black shelves which are scattered across the bookstore in an irregular manner forming nice curvy spaces. On one hand, this enables the visitors to browse the books (those are neatly arranged in alphabetical order by the author and title and thus easy to find) while listening to music in a relaxed manner - enough light, enough space, everything ordered. On the other hand, fans of messy and jam-packed bookstores may complain about the lack of the typical used book place atmosphere. Best advice - go see for yourself and decide. The owner of this bookstore is definitely not a rookie in the bookstore business. During more than three decades of his bookseller experience, John Browner has worked in Barnes&Noble in NYC, managed a second hand bookstore in New Hampshire where he also opened his first own store called Johnnie’s Paperback Place. Later on, he moved to North Carolina where he opened one of the first bookstore/café places in the US, only to finally end up in Munich, where he opened the Munich Readery along with his wife Lisa in February 2006 on the corner of Augustenstraße and Schellingstraße. STAY AWAY from the Munich Readery. You will be ripped off!!! Most USED books are just only €1 or €2 below the NEW price, and many books are actually priced ABOVE the marked new price. This guy has absolutely no concept of what a USED book store should be.